Adding a Pages index is not difficult. Use the Layout wizard, and "Add a Gadget", to add the Pages gadget. Edit the Pages gadget, and use "Configure Page List" to activate and add pages. Position the new gadget in the Tabs section. Add content to the blog - and to the gadget. Add special pages to the blog - and to the gadget. Use the Layout wizard, and "Add a Gadget". In the dashboard Layout wizard, click on "Add a Gadget". Select "Pages", from "Basics". Use "Add a Gadget" - and select "Pages". Edit the Pages gadget, and use "Configure Page List". The new gadget will open as "Configure Page List". If you have already created static pages, you can enable them here, using "Pages to show". If not, just hit "OK". To use the Pages gadget as a horizontal link bar, you will want it positioned in the "crosscol" section of Layout. If it's not properly positioned, grab the new gadget using the handle at the left end, and re position the gadget into "crosscol". 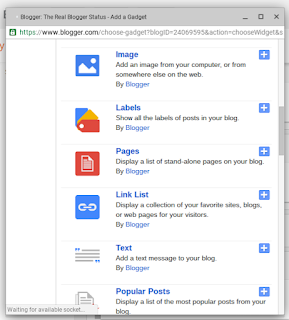 With a standard Blogger template, only "crosscol" will display Pages horizontally. All other sections will show Pages as a standard vertical linklist. Now, get busy and add content to the blog. 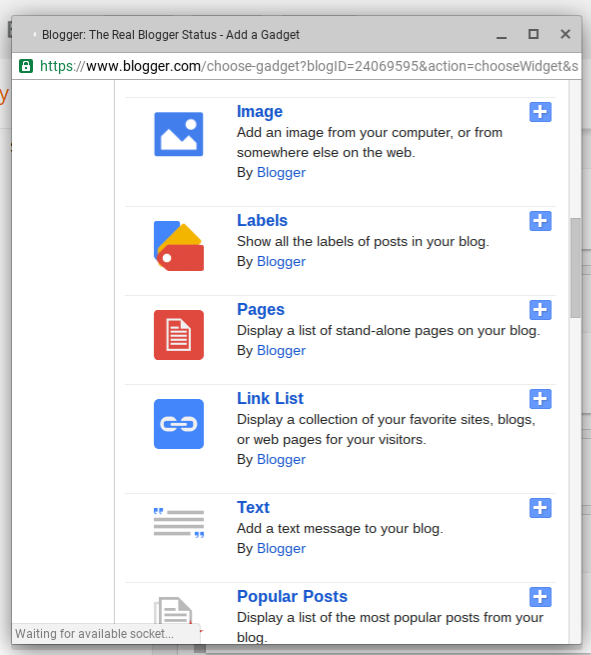 You can use a Pages gadget, with many different blog (or website) elements. External and internal single post links. Label (category / keyword relevant) searches. Professional documents and other externally hosted files. All of these types of content can be indexed, using a Pages gadget - and the dynamic retrievals and searches can present blog data in exciting ways. You can make a special Home page - either a static home page - or a selected posts home page. And you can display the content as one or more special pages. I have only recently discovered your blog. I wish I had done before. It is simple to follow and super great! Thanks a heap.